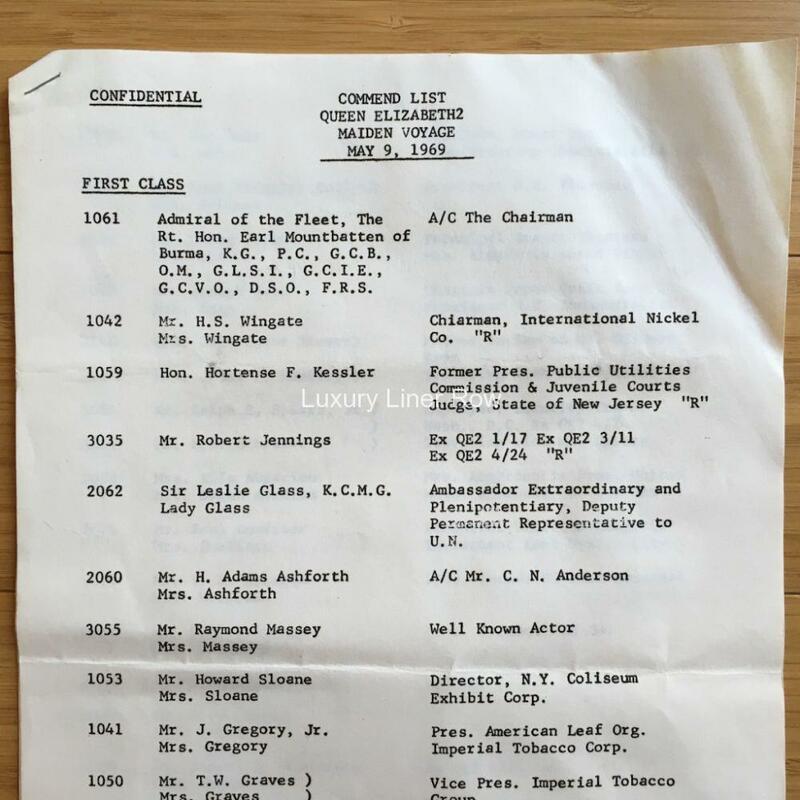 Cunard’s official and confidential “commend” list for QE2’s maiden voyage. Six pages of names, details, and cabin numbers of the well-known people who went her maiden voyage. The sixth page is late additions.. A fascinating bit of Cunard history. 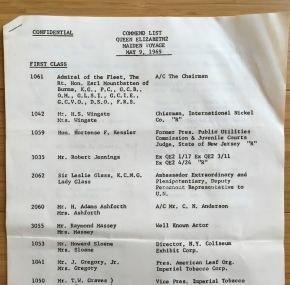 This also comes to us from the collection of Ron T, Johnson, Cunard’s New York manager. He has hand written in three more names on the back including cabin numbers. I wonder what Cunard did for these VIP’s all those years ago? They were certainly proud to be carrying the cream of society.